2) How Muslim female YouTubers embody a DIY media-making ethic and what we can learn from them. Pre-conference of the Language and Literacy Researchers of Canada. University of Ottawa. Ottawa, ON. [Saturday, May 30th]. 3) Making a video with youth as curriculum inquiry: Complicating identities in-between process and product. Canadian Association of Curriculum Studies. Annual Congress of the Humanities. University of Ottawa. [Monday, June 1, from 1:15 to 2:45]. 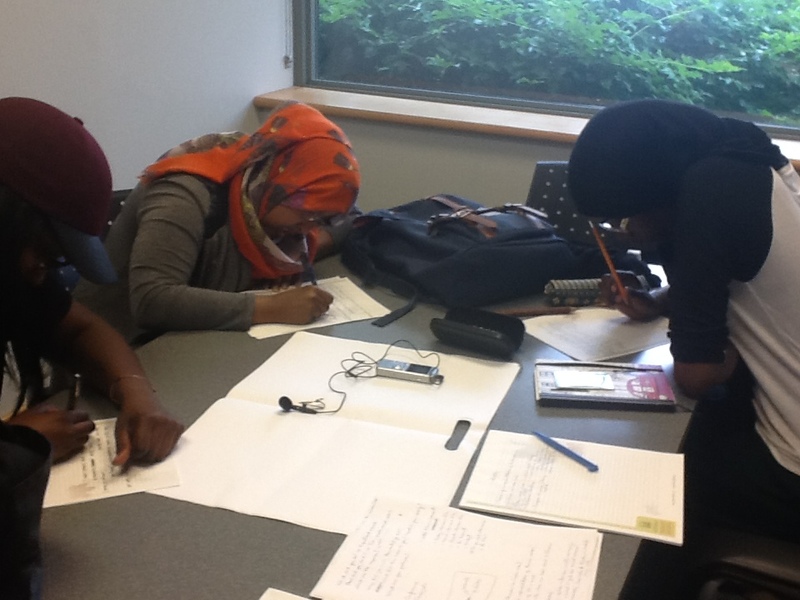 In May 2014, Fartousa, Hodan, Kayf and I presented our work as part of a Canadian Society for Curriculum Studies panel I organized on Muslim youth making media, at Brock University. We also presented at the same conference in a session on the Canadian Association for Studies of Women in Education (CASWE) Program. 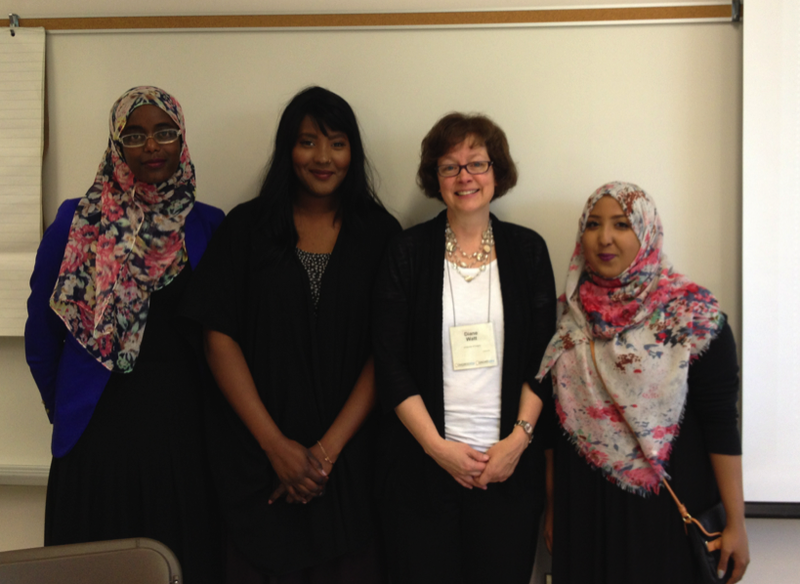 Fartousa Siyad, Hodan Hujaleh, Diane Watt, and Kayf Abdulqadir at our CASWE session. Title of our presentation: Collaborative documentary film-making with Muslim, female youth: Engaging critical digital literacies in teacher education. Canadian Association for the Study of Women in Education. Annual Congress of the Humanities. Brock University, St. Catharines, ON. Participants at our 2014 panel session. Title: Critical perspectives on Muslim youth making media. Canadian Association for Curriculum Studies, Annual Congress of the Humanities. Brock University. After the conference we talked about what it meant to each of us to participate in these sessions as youth/researcher collaborators. Excerpts from interview transcripts of those conversations and how those experiences constitute our emerging understanding of collaboration will be posted on this website in the future as we progress with our ongoing analysis.